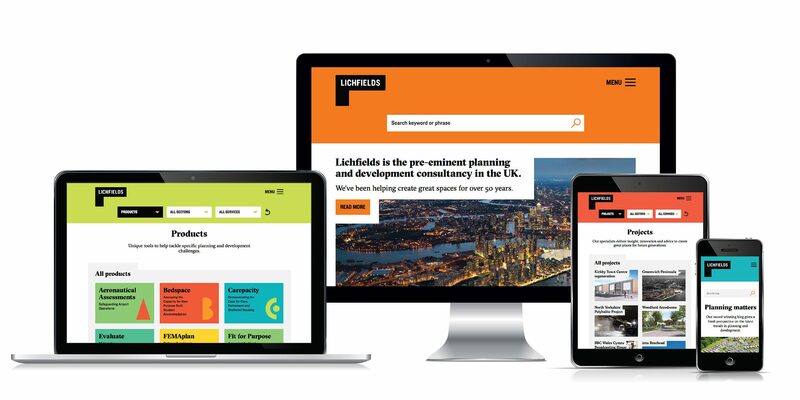 Lichfields, a leading voice in UK town planning, could see the rest of the industry catching up. 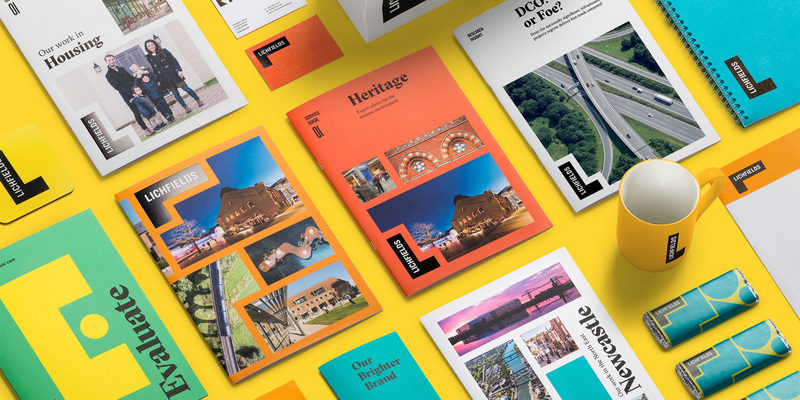 Working in collaboration, JWDK and GW+Co created an ambitious brand strategy and full identity programme to help them lead from the front and fulfil their ambitious plans for growth. 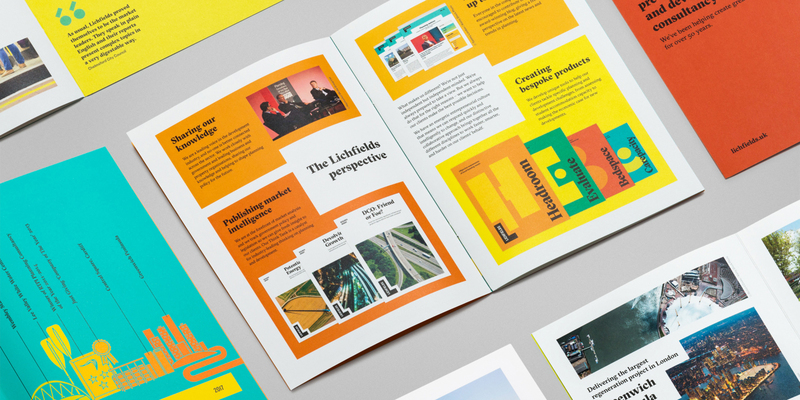 From our initial research and in speaking to those both inside and around the company, it was clear that Lichfields consider many different perspectives and points of view when it comes to development projects. 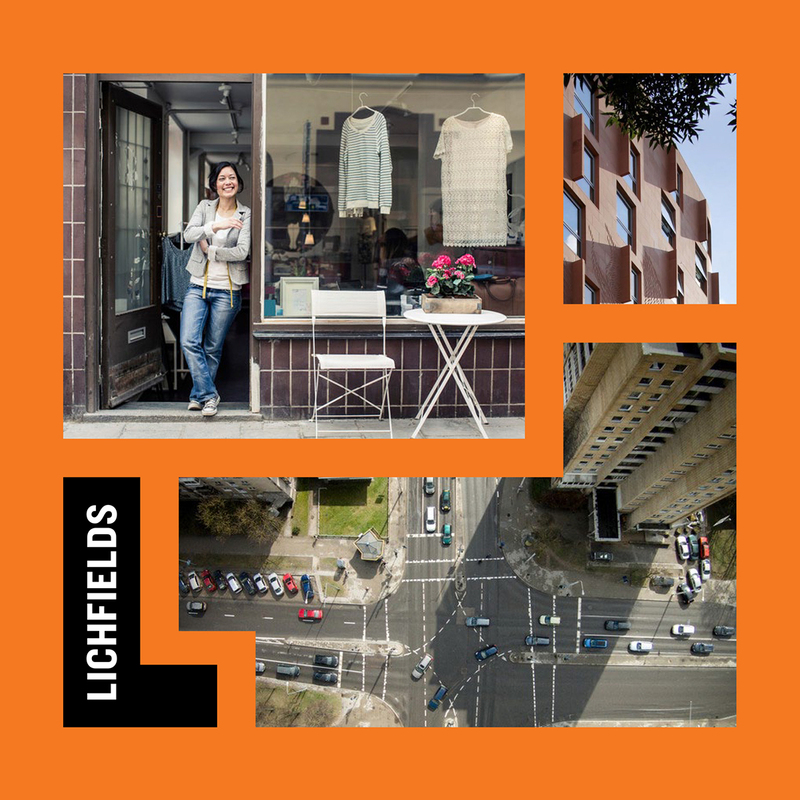 Lichfields look at the big picture – a bird’s eye view of the evolving urban landscape. From this insight, we came up with a brand language. 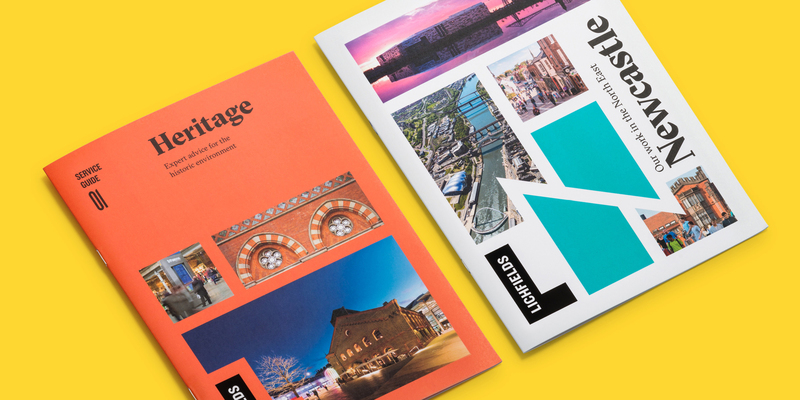 The forms of buildings seen from above become graphic shapes which can be used in different ways – as image containers, simplified letterforms and bold coloured shapes. 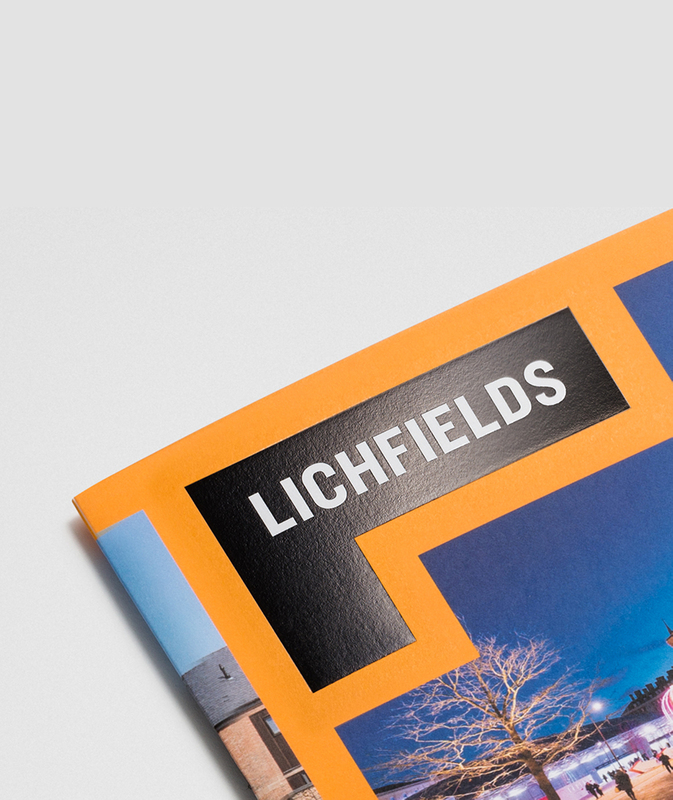 The broad-minded ‘Lichfields perspective’ was also expressed in the use of multiple images instead of one, allowing them to illustrate the complex blend of factors that make nuanced urban planning so challenging. The website was completely overhauled, with a brand new filtering structure to deal with the many types of content they produce – research papers, project overviews, opinion pieces, news articles and product offerings. 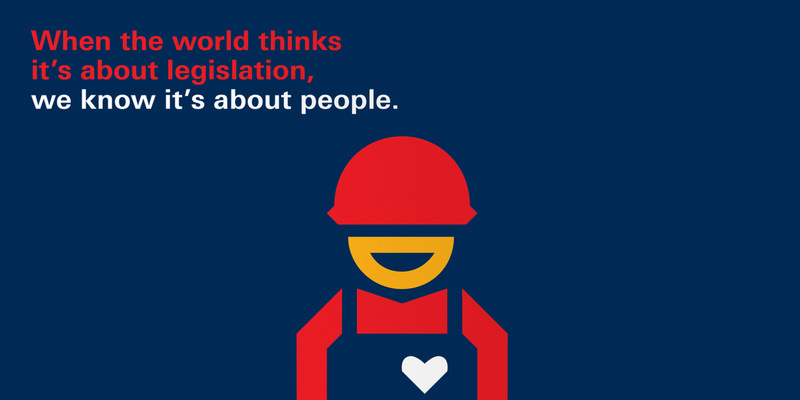 How we helped transform a leader of a sector characterised by jargon and complexity.